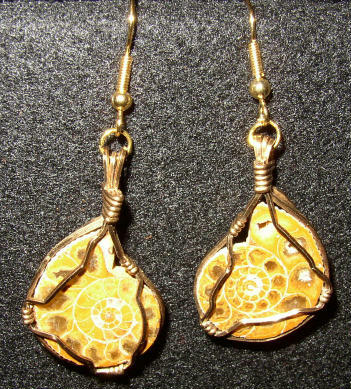 This ear ring set is made from polished Ammonite fossil halves from Madagascar and Brass wire. 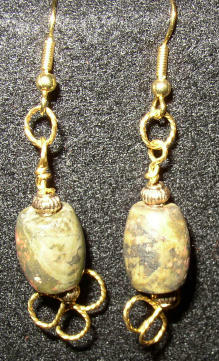 This ear ring set is made from Rain Forest Jasper from Australia and 14 K/20 % Gold Fill wire. 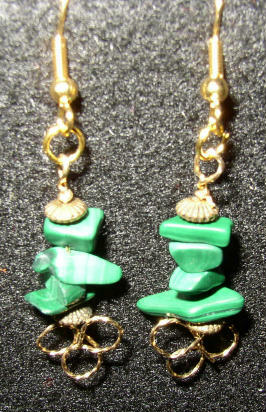 This ear ring set is made from polished Malachite chip beads and 14 K/20 % Gold Fill wire. 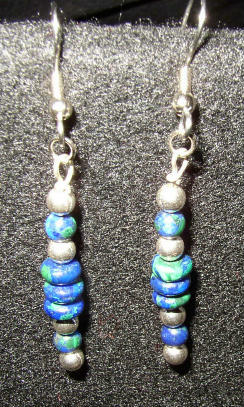 This ear ring set is made from polished Azurite/Malachite beads from Zaire, Africa. 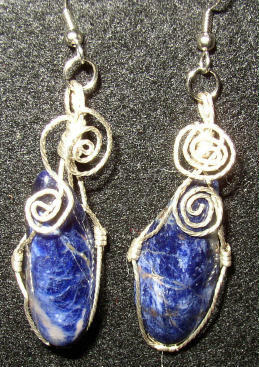 This ear ring set is made from Sodalite from India and Sterling Silver wire. 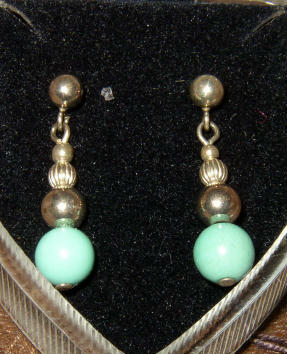 This ear ring set is made from polished Turquoise beads from Arizona. 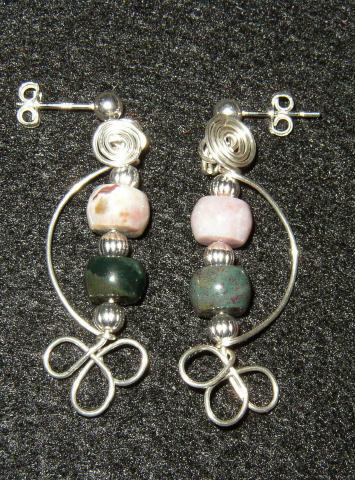 This ear ring set is made from polished Ocean Jasper beads from Madagascar. 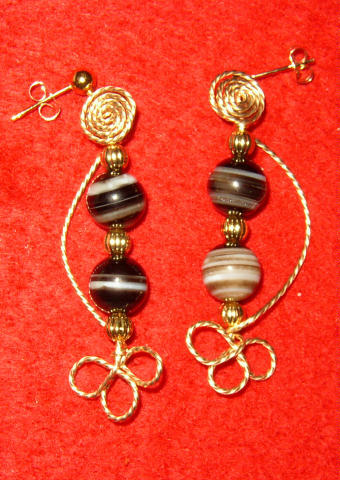 This ear ring set is made from polished Sardonyx beads. 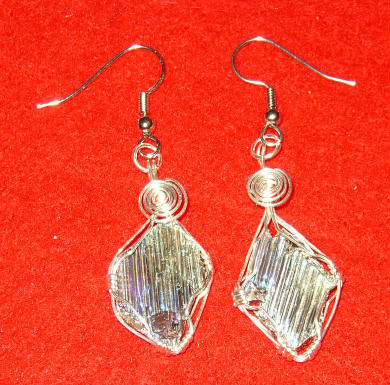 This ear ring set is made from man-made Bismuth from Germany. 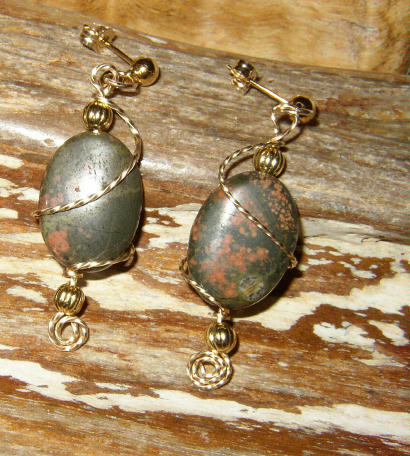 This ear ring set is made from polished Rain Forest Jasper beads from Australia. 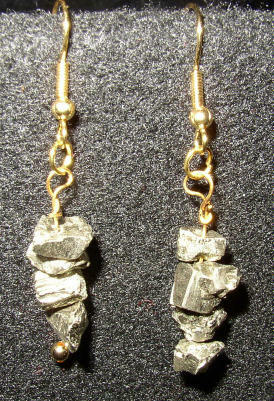 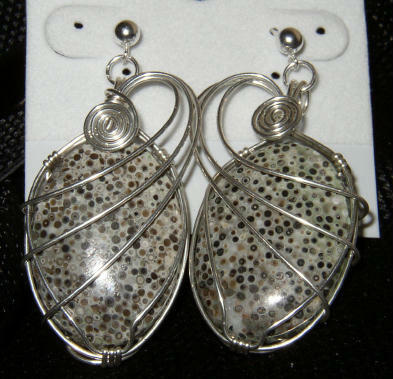 This ear ring set is made from polished 25 X 18 mm Oolite "Fossilized caviar" from New Mexico.